Todayâ€™s businesses recognise they have responsibilities towards sustainability and the environment. From carbon management to social issues integrating sustainability into everyday businesses is a pressing issue. Heini Lang, senior manager footwear materials and innovation, adidas is a speaker at the marcus evans Sustainable Packaging Conference taking place in Berlin on 27-28 January. A worldwide brand adidas has a responsibility to set the pace of change towards sustainability, says Lang. Sustainability in packaging has become more and more crucial in the global competitive environment because customers are demanding it, according to Lang. This in turn ensures sustainability moves towards becoming a business ethos. As a leading global frontrunner in the footwear and apparel industry sustainability is going to be embedded in everything adidas does, he says. The supply chain is an important area where sustainability must be fostered. 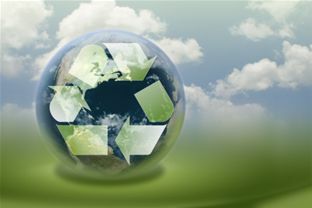 General sustainability initiatives that the company has put in place include having a target of sustainable materials in every footwear and apparel product by 2012. However this is an ambitious undertaking due to the nature of the business. â€œItâ€™s not always easy â€“ you need completely new materials, sometimes you need new suppliers. So itâ€™s a big change,â€� Lang explains. However carbon footprinting of materials used has yet to be implemented due to the scale of the company, he adds. Building sustainability into business operations will become more and more prevalent as companies seek to mesh sustainability with core business practices. The marcus evans Sustainable Packaging Conference will take place in Berlin on 27-28 January.